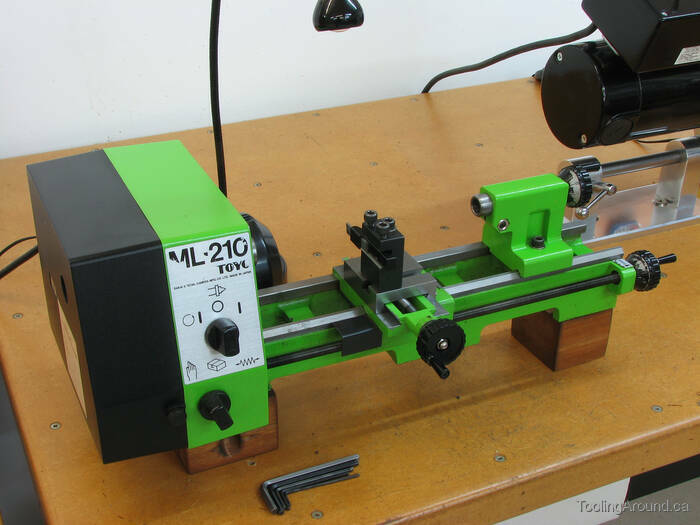 My Toyo lathe is the model ML-210, little brother to the ML-360. The “210” in the model name indicates the distance between centres (in millimetres). So, it's a little guy. Manufactured in Japan by Sakai Special Camera company, it has many similarities to the Unimat 3, but probably the nearest equivalent today is the Proxxon PD 250/E, manufactured in Germany. 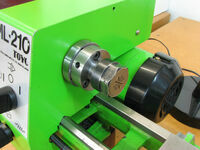 As you can see, this is a screw-cutting lathe. 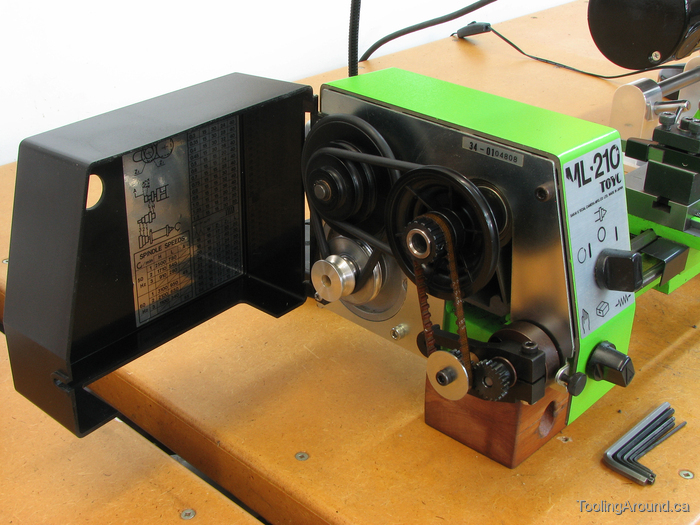 My set of change wheels is incomplete, but I can cut 9 different thread pitches from 0.5–1.5 mm. The more experience I've gained, the more I like this lathe. With a bit of careful adjustment, it's as precise and pleasant to use as anything I need. That's another way of saying that the limiting factor in the work I do is my skill, not the lathe's capabilities. There are two things that could be improved. 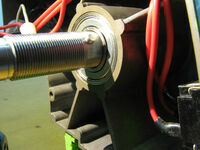 First, drive is via round belts, similar to O-rings. Over time, these tend to stretch. I think this problem could be addressed by using equivalent belts of a different material. When the current ones show signs of stretching, I shall search for better ones. Second, the handwheels are zero-resettable, which is great, but they're made of black plastic, which is not so great. The problem is that the numbers and gradations are simply raised markings, leaving you to distinguish them from the background by looking for shadows that may or may not help define the edges. You can imagine how well that works: shadows cast by black markings against a black background. 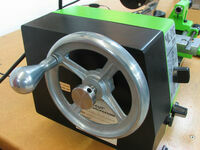 A project on my to-do list is to make new handwheels.